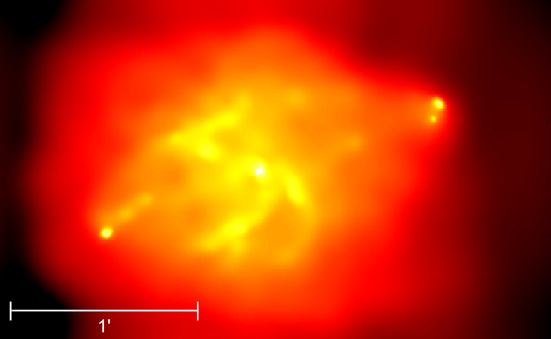 This Chandra X-ray image shows the galaxy Cygnus A, represented in grey scale. 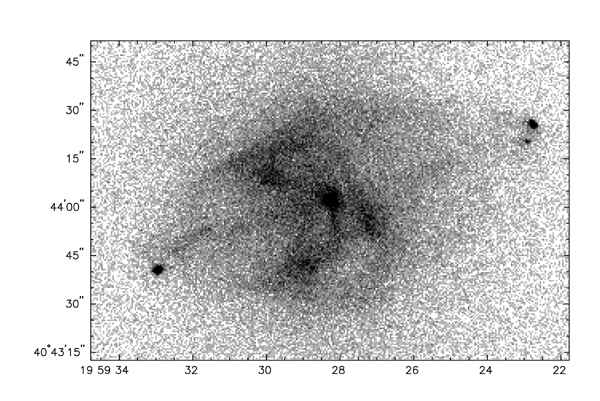 The shading is proportional to the square root of the X-ray intensity. 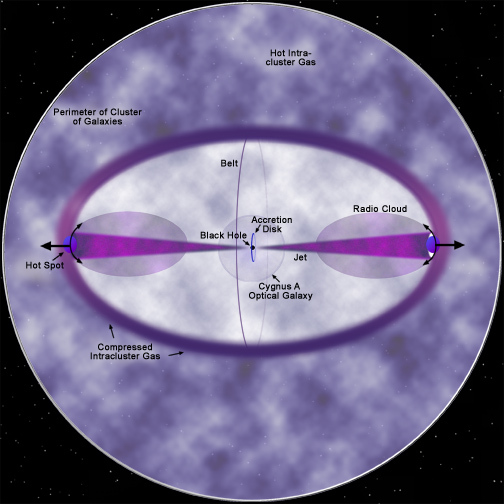 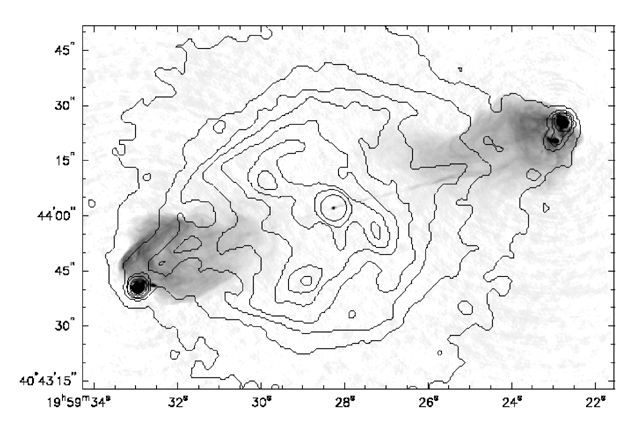 In this image, the X-ray emission (contours) have been superposed on a 6-cm Very Large Array radio map, shown here in grey scale. 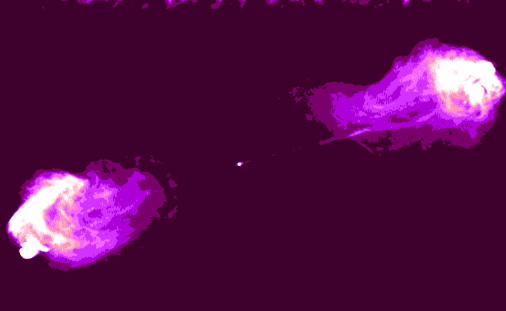 This illustration outlines the physical processes that created the image of Cygnus A observed by the Chandra X-ray Observatory.